Ive just received an e-mail from our friend Stephen, about an event being performed at the Hidden Gardens, this Saturday. Sounds like a really interesting event. 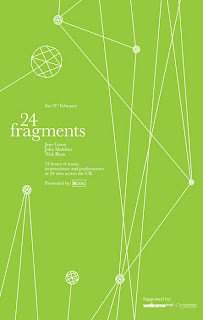 Alasdair Roberts will be performing at the Glasgow ‘neuron’ at the Hidden Gardens, Tramway on Saturday 21st February at noon.